Food flavourings, like perfumes, are derived from the products of distillation, extraction, maceration and other procedures which have been used for hundreds of years. Sweets have been flavoured with mint alcoholate since the Middle Ages. Later came brioches flavoured with orange flower water and confectionery flavoured with rose water. 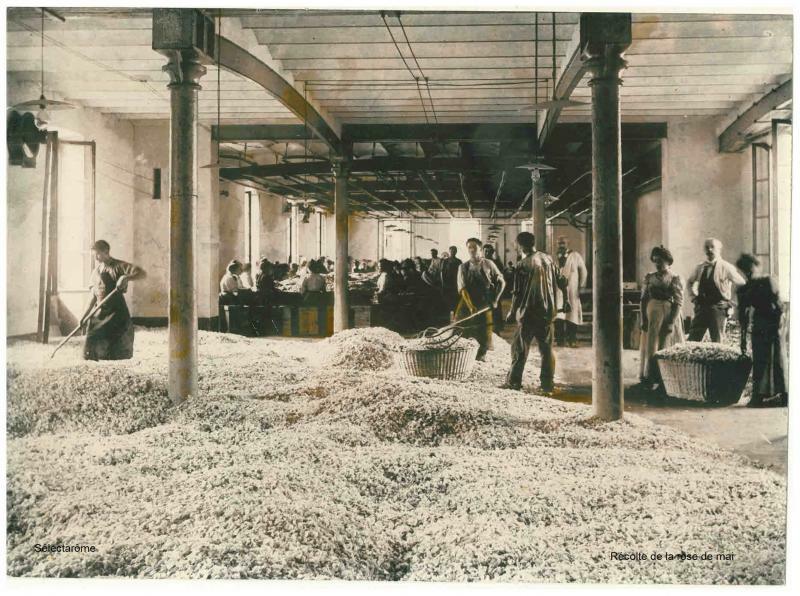 With the Industrial Revolution and the contribution of new extraction techniques, food flavourings experienced a significant growth. Hand in hand came the arrival of the food industry. The cluster of competitive aromatic trades surrounding Grasse represented an important part of the production of perfumes, cosmetics and food flavourings. Because of its benign climate, Provence Côte d'Azur was always a favourable region for the cultivation of aromatic plants. The perfumer glove makers, pioneers of fine perfumery, made no mistake and were the first to settle in the area. 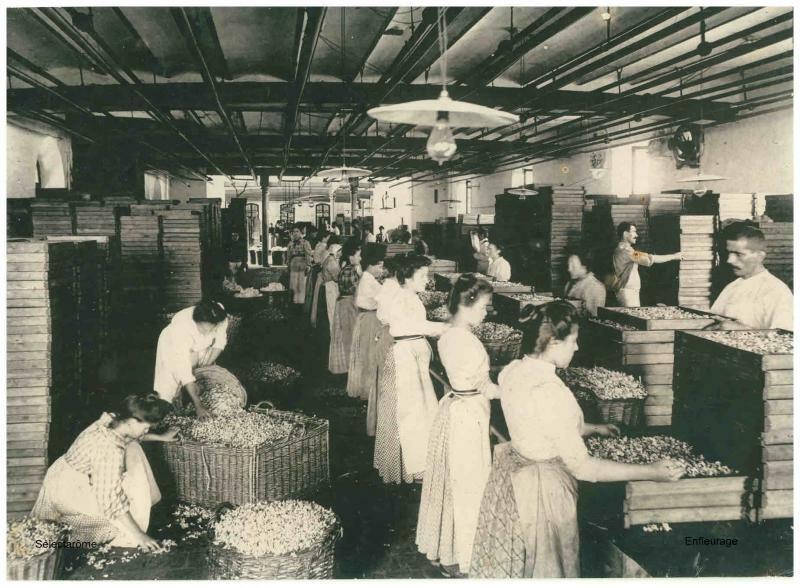 More than 2000 hectares were then devoted to perfume plants. May rose, jasmine, tuberose, broom, mimosa, orange trees and of course lavender, were the main plantations. Since then, for mainly economic reasons, the plantations are now in geographically favourable countries with reduced labour costs. The region has, however, retained some plantations which are mostly reserved for luxury perfumes. Food flavourings came afterward with the growing demand of manufacturers such as confectioners, biscuit makers and alcohol makers. It was a natural coming together, as the raw materials used were often the same and the processes and trades similar. Over time, differentiations became much more pronounced, notably very different legislation and quality norms. Contrary to popular belief, flavourings were already used in food production a very long time ago. Today, the vast majority of consumer products are flavoured. The major food groups have long understood that the asset of flavour is a primary selling point. The raw materials used are sometimes not very satisfying so the addition of flavourings makes a lot of sense in these products. Our company, distanced from this industrial world, works with the best raw materials and the most up to date techniques in order to offer excellent quality products that correspond to the expectations of the catering trade. The ability to adjust or enhance the flavour of recipes gives great freedom and safety to the user. The flavourings can compensate for technical problems which may be encountered in the implementation of some recipes (losses during cooking, interactions in the process). Their availability whatever the season, their ease of use, their stability over time and their concentration all make for very economical products and are also major arguments in promoting their usage.